Similarly, the Samsung Galaxy S6 follows the same approach by being a significantly different phone than its predecessor in the Galaxy S5. Some folks vouch that it's more of an evolutionary thing, while others deem it more revolutionary, but whatever the case, we can't deny that it's a formidable thing that has jump-started 2015 with a bang. No doubt, they target totally different demographics, but at the end of the day, we can't help to wonder which of the two will have more of the star power to continue being a relevant thing throughout the rest of the year. Considering Motorola gets their AMOLED displays from Samsung. Why would the brightness be so low John in your test? I know when I turn the brightness up on either device. I have to wear sunglasses. Because they aren't the same AMOLED display panels. Samsung is using the most efficient and newest generation AMOLED panel, while Motorola is not. Having the same resolution doesn't mean they're going to have the same quality or be based on the same panel. 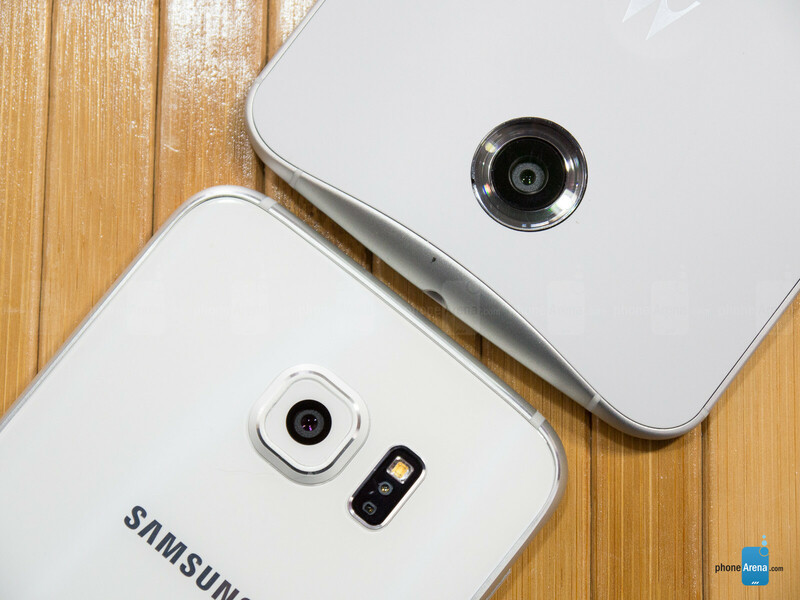 To be more specific, the S6 uses Super AMOLED, while the N6 uses regular AMOLED. The Super just has the touch digitizer built in with the panel, instead of multiple layers, as well as far better color gamut and accuracy. Whites on the N6 are warmer. Motorola could have used a Super AMOLED panel for the N6, but i guess Sammy didn't want the Nexus eating into its S5 sales at the time. Phonearena forgot to mention another pro for the S6 over the Nexus 6: Internal memory size, which you can get up to 128GB, whereas the Nexus 6 maxes out at 32GB. To be honest, stock Android looks barren and terrible and hasn't offered any real practical advantages over OEM propriety modified Android versions in the last 2 years. It might look a bit better in Lollipop, but I'm not seeing this aesthetic or functional advantage minority power users like to espouse. Let's get real. 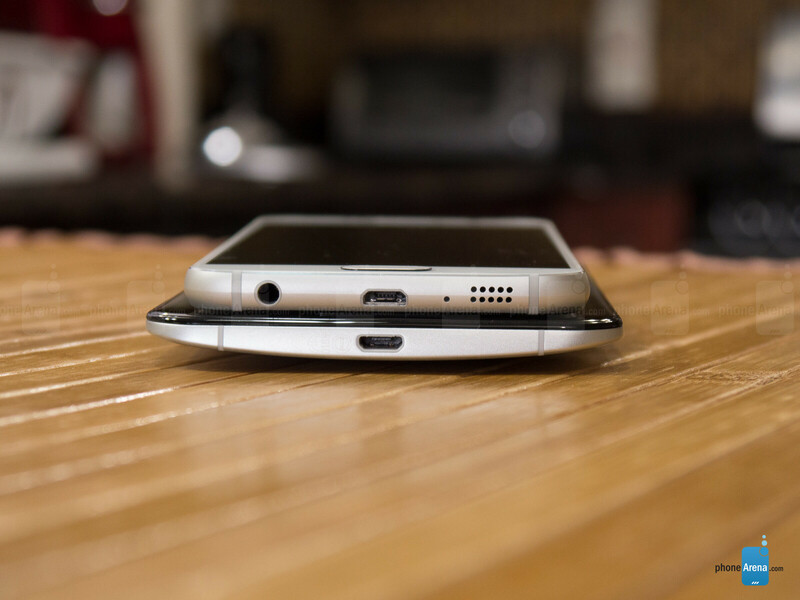 Comparison: Best Display: Galaxy S6 Best Benchmarks: Galaxy S6 OS Fluidity: Galaxy S6 Premium Build: Galaxy S6 Camera: Galaxy S6 Battery LIfe: Nexus 6 (By a narrow margin) Recharge rate: Galaxy S6 And no matter how much these reviewers try to convince themselves that Touchwiz is ugly, it's ten times prettier than stock Android. Pretty much this. There's literally no advantage to having stock Android over TouchWiz. The pre-installed applications can be disabled and removing them from the phone anyway will not free up storage, as that storage space is partitioned anyway. Let's get real... pointless reasons. The only things that's a major advantage is the camera and screen. Everything else is blah. Crapwhiz will always look ugly and I'll prefer stock over it any day....but that's an opinion. To each their own. I love how S-sheeps clown everything not Samsung. You guys are truly worse than apple fanboys.... honestly. Now make me a sandwich. TouchJizz is fugly and features gimmicky features. 'Nuff said. You'll never know when you will use all that useful but overlooked features and apps, especially when you have no internet connection. Also, people have different tastes regarding design. I can take touchwiz over stock at any moment just because it offers much more features than stock.I can bear few hiccups for features. 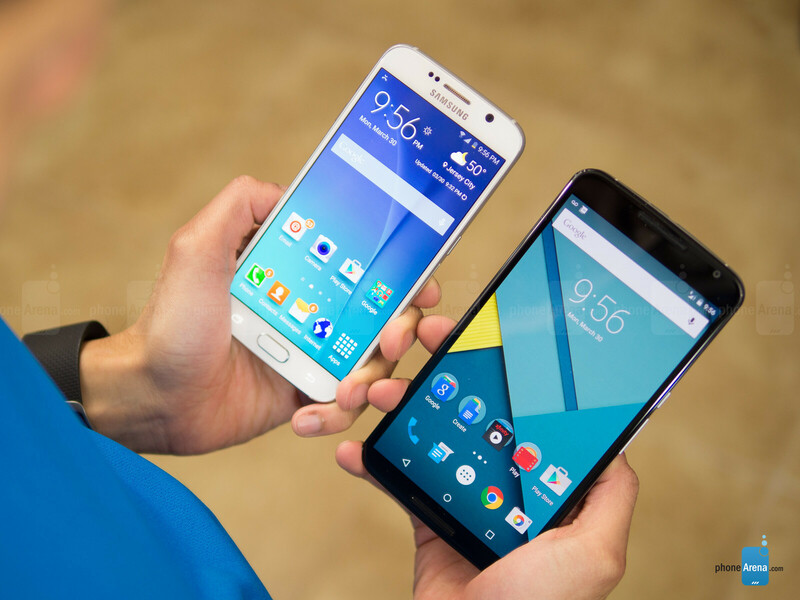 OS fluidity is not better on the S6. 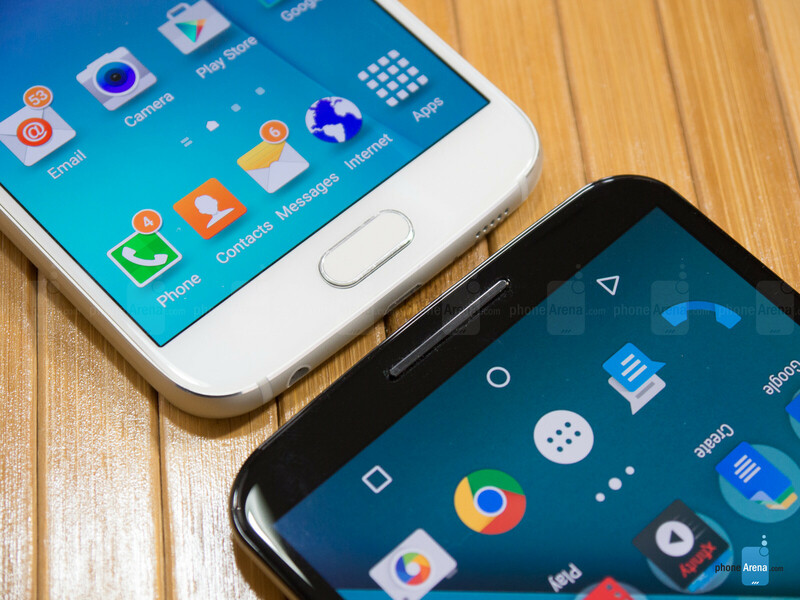 I have both and the S6 is better for me because I don't want that giant phone, but the nexus feels smoother to me. How do you even quantify OS fluidity. It seems like such a dumb thing to say. You are right on the other stuff but you come off as a Samsung shill. Do they pay well for posting this kind of stuff in forums? You forgot 1 BIG difference Support by community and developers: Nexus 6 (BY FAR) And that trumps all the others. UI? - Root/ change it / Theme it / Do whatever- Even do it like TW Battery? - Custom kernels Want different experience? - Countless Roms with different features S6 comes with Exynos - Big problem for the developers because isnt full open source. And 1 more BIG Difference: Because Nexus 6 is supported by the community that means Lifespan of the mobile will be HUGE. Over 3 years and you will still find active development for the Nexus. We all have our preferences. I went out to buy the S6 yesterday, but I just couldn't get ready for touchwiz. I don't want to say it's ugly, but it just doesn't appeal to my senses like vanilla Android does on my Nexus 6. I'm one that will upgrade every year just because I like the newer stuff, but I have to admit that my Nexus doesn't leave me wanting or desiring anything. It's so fast and fluid and able to handle a bunch of demands simultaneously without stutter. I remember having my M8 and sometimes I'd be doing several things at once and the phone would just stammer and in some cases, it would reset. I kept having to do factory resets with it, and the Damn camera issues really pissed me off. I'd really be interested to see how the S6 runs after 90 days. 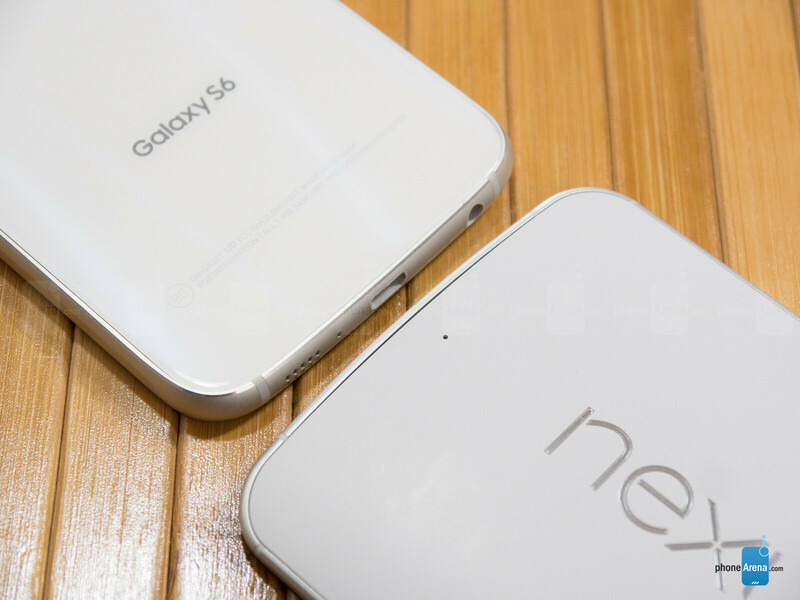 Back display pictures "in my opinion" looks better on the Nexus 6. The protruding square camera is the only fail appearance wise "to me" Fluidity of OS is helped by the newer processor. I liked my GS3 software, and miss a lot of it's features BTW!